Introduced in 1899 by the Holmes Seed Company of Canton, Ohio. Round, bright red roots with white flesh, 1.25" diameter. Highly uniform in shape when grown in good soil. 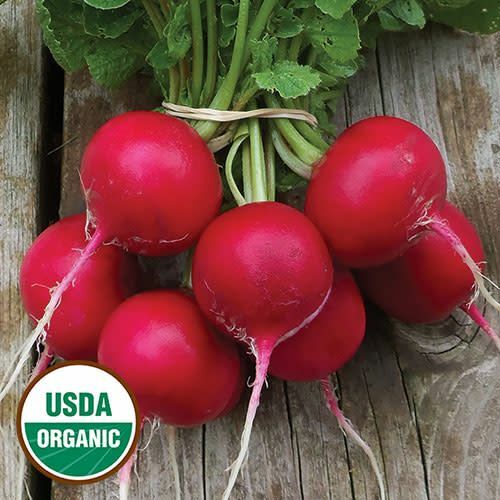 Roots are very crisp with excellent texture and juicy, mild flavor. Early maturity, 25-30 days.